Langston Hughes (https://commons.wikimedia.org/wiki/File:Langston_Hughes_by_Carl_Van_Vechten_1936.jpg#globalusage) by Carl Van Vechten is in the public domain (https://creativecommons.org/publicdomain/zero/1.0/). 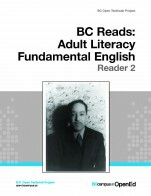 BC Reads: Adult Literacy Fundamental English - Reader 2 by Shantel Ivits, Vancouver Community College is licensed under a Creative Commons Attribution 4.0 International License, except where otherwise noted. The reader contains eight chapters about Langston Hughes’family history and personal life. They are written specifically for adults at Adult Literacy Fundamental English (ALFE) level 2, and the words in the story are level appropriate. The vocabulary and word pattern exercises in the accompanying course pack along with the online audio recordings of each story prepare students to read each story with more self-assurance. There is an effective table of contents at the beginning of the reader. 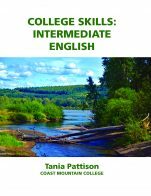 The author has incorporated poems and pictures throughout the chapters that are relevant to adult literacy learners. The content is accurate, error-free and unbiased. The contents cover topics that are relevant to adult literacy learners. New contents around the reader’s chapters could easily be adapted or added to. 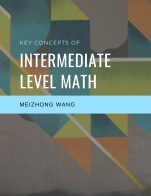 The text is written in plain language and at an appropriate level for the ALFE level 2 student. The poems and pictures help with the context of the chapters. The reader's chapters can easily be divided into smaller reading sections that can be assigned at different times in the course. Each story is written independently. The reader contains eight chapters that follow Langston Hughes’ family history and personal life. Though the chapters in the reader are independent of each other, they are presented in a logical and clear fashion. The font size and pictures in Reader 2 (print version) are appropriate for adult literacy students at this level. The font size and line spacing in the online view can be adjusted if needed. The chapters in this reader are inclusive of races, ethnicities, and backgrounds. 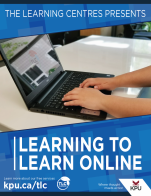 The author has done a remarkable job making sure the reader and accompanying course pack work well together. 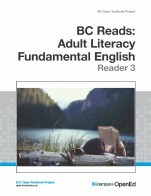 The combination of the reader and course pack meet all of the BC ALFE provincial level 2 articulation outcomes. The review of Reader 2 is based on the print version printed by SFU Document Solutions and not the online version.